← How to convert pdf to PowerPoint 2003? I want to convert a document into a PDF file with PDFcamp Printer, but I found that the PDF file is much bigger than the original one. How can I reduce the file size? When you convert a document into a pdf file,you may know the advantages of pdf files,and you convert for one or some of the advantages.You may care about the security,the smaller size,used across platforms,etc.of pdf file. There are a lot of people who care about the compression function of pdf file.For example, a typed 8 1/2x11 letter is approximately 1,000 kilobytes in size when scanned into the system but compresses to 28-33 kilobytes when converted into a PDF document. 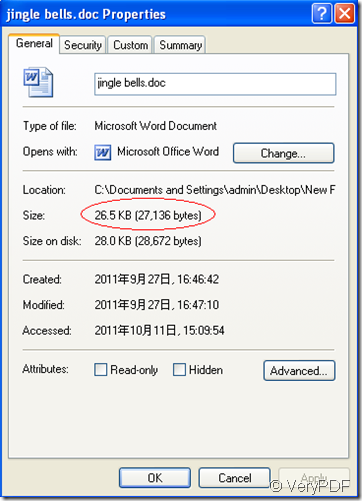 An electronic document converted into a PDF document compresses to approximately 25% of its original size. 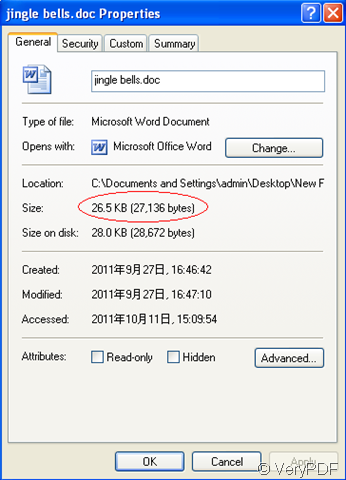 For example, a 20KB word processing document is compressed to under 5KB. This allows the PDF document to open quickly at the workstation and is ideal for use on a network/internet/intranet.So people would love to convert their documents into pdf file. But somebody will find the problem after conversion that the size of created pdf file is much bigger than the original one.Why and how to resolve the problem? We can take a word document as an example and we will convert the word to pdf file by using PDFcamp Printer. 1.Open the word document and click “file”—“print”to start the printer.In “print”window,you can select PDFcamp Printer as your printer. 2.Click “properties” to set parameters. You should click the “compression” tab and check “compress text and line art”in general, “compress using” in color/grayscale images which is to compress color or grayscale images, “compress using” in monochrome images which is to compress black-and-white images.Then click “OK”. 3.Click “print” and save,name the new file. Then you will see the new created pdf file is smaller than the original one in size. 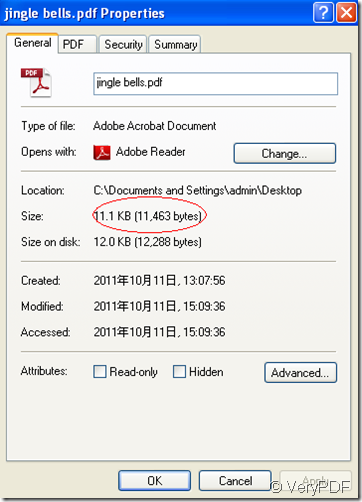 How to use ZIP compression for image streams in PDF Printer?